Not everyone looks forward to a corporate presentation – the presenter might fear standing up and speaking solo, while the audience might fear for that pitch that just drags on and on. 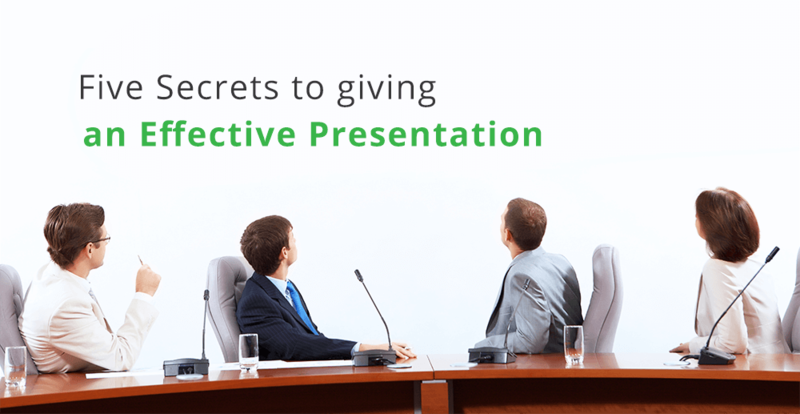 It’s time to shake things up by learning the secrets behind giving an effective presentation. These tips will help keep your next presentation from being a bore…and will help you make the most out of your group’s time together. There are two problems with a presenter stepping up and talking nonstop for a half hour. First of all, unless they’re a truly gifted speaker, it’s tough to hold an audience’s attention by simply talking at them. Second, this causes your company to miss a huge opportunity to brainstorm, collaborate, and share thoughts. Instead of talking at the group during your presentation, why not try talking with them? If possible, engage your audience during the presentation. Ask them questions and encourage them to ask their own. Even if you need to move all the way through a specific block of information without pausing, make sure to open things up for questions and comments afterwards. Click, click, click. How many times have you seen your audience’s eyes start to glaze over as you click through screen after screen of boring Powerpoint text and pie charts? With today’s multimedia technology, there’s no reason for any presentation to be boring. Spice things up with interesting graphics, audio, and videos. Include up-to-date social media content where you can. To really take your presentation up a notch, invite other members of the group to collaborate and share their own content. Let them know in advance so they’ll be ready to chime in with their own ideas, images, videos, or data. 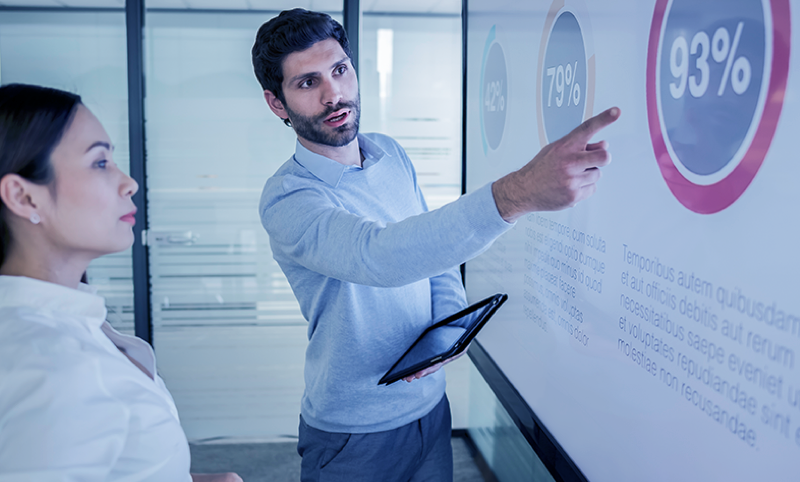 With Vivitek’s NovoConnect wireless collaboration solutions, up to 64 participants can connect and share up to four screens in real time, mirroring their content on the big screen for everyone to see. (This piggybacks on Secret #1 above: asking the audience for their thoughts and comments.) 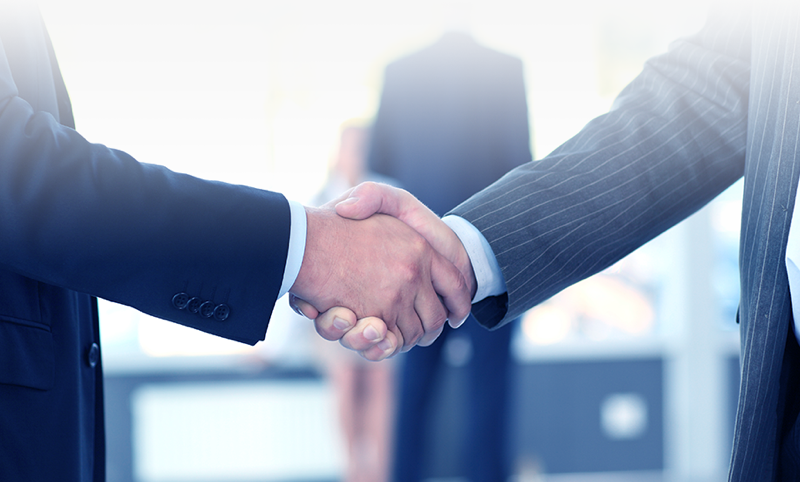 When your audience is part of the presentation, they’re guaranteed to be engaged. While it may sound like a bizarre tip for giving a good presentation, it’s important not to be selfish. Remember that you’re not creating a presentation for yourself; you’re designing it to inform the group about your research or ideas. With this in mind, tailor it for them. In part, this means identifying your key point (or points) and sticking to them. If you can throw in a bit of humor to lighten things up, by all means, do – but don’t get off onto lengthly digressions. Getting off course is a recipe for a bad presentation and it makes your audience feel as though their time is being wasted. Another recipe for a bad presentation? A presenter who is frozen and glued to their podium the entire time they speak. Get out and walk around! With a remote control or a tablet, you can move your presentation along without ever having to step back behind the podium. This will help you deal with any presentation jitters. It will also keep your audience interested and engaged. We live in an age of technological wonders – from the tiny computers we carry in our pockets so that we can communicate, research, and get into internet arguments to amazing wireless technology. Keeping this in mind, make use of technology to bring your presentations into the 21st century. We already talked about using fantastic multimedia in your presentation, as well as inviting your audience to share content. In addition to this, put your audience on the spot by polling them on certain questions using NovoConnect’s technology. You can also share documents with them in real time – the modern-day equivalent of passing out all of those bulky, stapled stacks of printouts. They can relax with no need to take notes and you don’t have to set up camp by the printer for an hour before you get up to speak. Everyone wins! Presentations don’t need to be stressful for the presenter or torturous for those in the audience. By using these secrets at every meeting, your company will no longer see presentations as a chore; instead, they’ll be viewed as exciting opportunities.